Founded and chaired by Norman Thomas in 1942, the Post-War World Council sought to lay the groundwork for a democratic and anti-imperialist end to the Second World War. As the face of the organization, Thomas promoted the pacifist ideals of internationalism, disarmament, and decolonization, however his failing health in the early 1960s led to the decline of the Council and its formal dissolution in 1967. Born in Germany on Aug. 4, 1934, Hans Joachim Ring was a film enthusiast with an encyclopedic knowledge of German cinema. During the Second World War, movie theatres became a refuge for the young boy, whose family was forced several times to flee due to Allied bombing. The hardships of post-war life cemented the role of film in his life and as he grew older, he became an ardent collector of materials relating to film. The Ring Collection includes hundreds of programs, fliers, and handbills published by the official East German film distributors Progress Film-Vertrieb and the Deutsche Film Aktiengesellschaft (DEFA) and sold to patrons at theatres. This extraordinary assemblage includes several hundred programs covering the immediate post-war period (1945-1950) and hundreds more relating to films released up to and beyond the end of the Communist era. 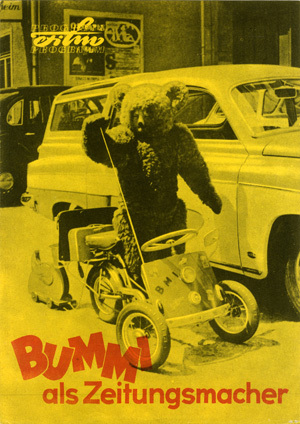 Offering insight into the evolution of graphic design in East Germany and the marketing of film, the collection is one of the largest of its kind in the United States. A political scientist, writer, and government consultant, John P. Roche was born in Brooklyn, N.Y., on May 7, 1923, the son of a salesman. A liberal Social Democrat and fervent anti-Communist, Roche spent his academic career at Haverford College and Brandeis and Tufts Universities, writing extensively on American foreign policy, constitutional law, and the history of political thought in America, and maintaining a strong interest in the history of the American left. During the 1960s and early 1970s, he served as an adviser to the Kennedy, Johnson, and Nixon administrations. The Roche Collection consists of over 300 publications pertaining to the political left in the United States, with a smaller number of works from the radical right and from European Socialists and Communists. Concentrated in the years spanning the Great Depression, the Second World War, and the McCarthy hearings, many of the works were produced by formal political parties in response to particular political campaigns, current events, or social issues, with other works geared primarily toward consciousness raising and general political education on trade unionism, fascism, war and peace, American foreign policy, and freedom of speech and the press. Coughlin, Charles E. (Charles Edward), 1891-1979Roche, John P.
Although printing requires a substantial capital investment in equipment before any hope of profitability can be entertained, there have been numerous attempts over the years to set up printing houses in communities with astonishingly small population bases. 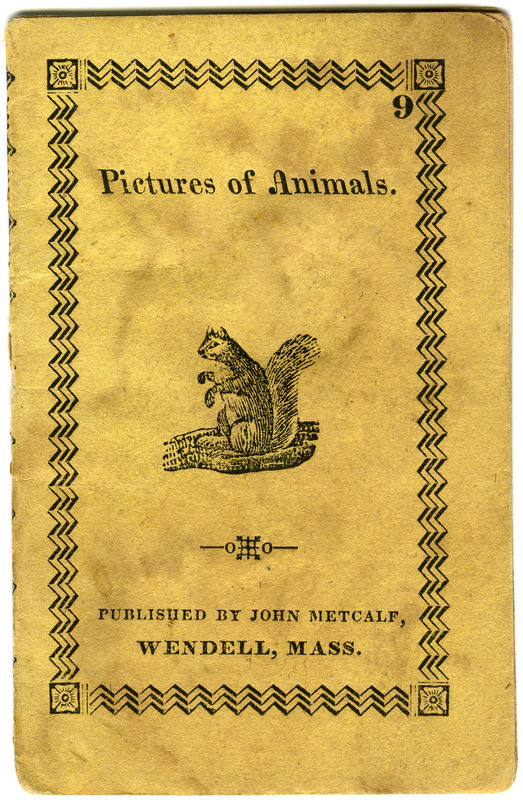 In even the most remote Massachusetts towns, people like John Metcalf (Wendell), Ezekiel Terry (Palmer), and John and Solomon Howe (Enfield and Greenwich) operated as printers during the nineteenth century, specializing in a quotidian array of broadsides, song sheets, almanacs, toy books, and printed forms, hoping to supplement, or provide, a decent living. This small, but growing collection consists of materials printed prior to the twentieth century in small Massachusetts towns, defined as towns with populations less than about 2,500. Although few of these houses survived for long, they were important sources for rural communities. Typically simple in typography, design, and binding, even crude, the output of such printers provides an important gauge of the interests and tastes of New England’s smallest and often poorest communities. An historian from Lowell, Mass., Richard Santerre received his doctorate from Boston College in 1974 for his dissertation Le Roman Franco-Americain en Nouvelle Angleterre, 1878-1943. For more than twenty years he published regularly on the history of French and French-Canadian immigrants in New England, particularly Massachusetts, while doing so, assembling a significant collection of books on the subject. With titles in both French and English, the Santerre Collection deals with the wide range of Franco-American experience in New England, touching on topics from literature and the arts to religion, benevolent societies, language, the process of assimilation, biography, and history. The collection includes several uncommon imprints regarding French American communities in Lowell, Lawrence, New Bedford, and Worcester, Mass., as well as in Maine, New Hampshire, and Rhode Island, and it includes publications of associations such as the Ralliement Français en Amérique, the Association Canado-Americain, and the Alliance Française de Lowell. A lifelong resident of Springfield, Mass., Athena Savas was a passionate collector who assembled a massive trove of cookbooks over the course of almost forty years. The Savas Cookbook Collection contains many hundreds of commercially-produced and community cookbooks, primarily from New England. As a collector, Savas was particularly interested in ethnic and regional cookery, but she ranged widely to include corporate cookbooks and works relating to subjects such as waiting tables, home entertainment, and restaurants. Founded in 1964, the Science Fiction Society at UMass Amherst is one of the oldest university based clubs of its kind in the United States. From the beginning, the members of the Society built a library to share books and periodicals, eventually amassing one of the largest circulating science fiction collections on the east coast, and they encouraged members to write their own fiction, at various points publishing their own magazine. 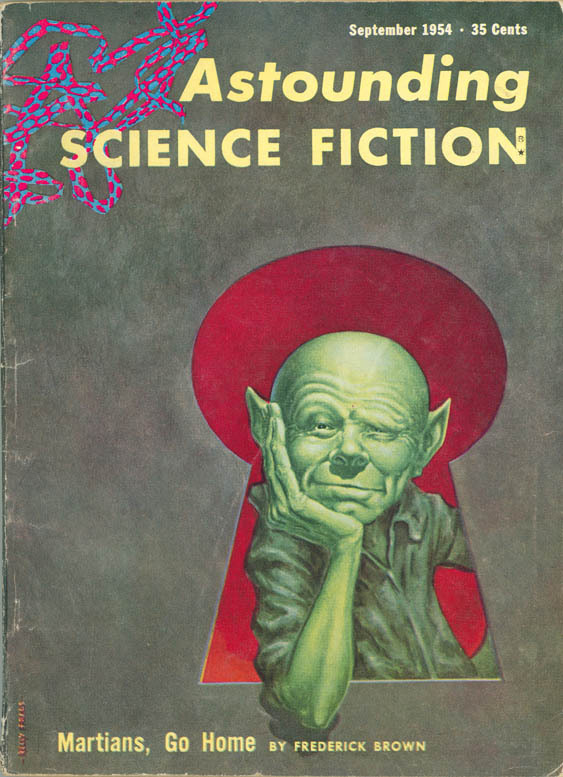 The Science Fiction Society Collection contains thousands of issues of science fiction periodicals from the golden age of the 1940s through the late 1990s. The collection includes essentially complete runs of major titles such as Galaxy and Analog, as well as minor and more ephemeral magazines. Sears, Roebuck and Company were pioneers in the concept of the mail order catalog. Beginning in 1894, company founder Richard Sears began sending thick catalogs offering a wild profusion of consumer goods, ranging from clothing and kitchen goods to toys, bicycles, furniture, and even homes themselves. With an affordable price tag, the catalogs became a staple in many homes, particularly in rural settings and locations with limited access to stores. Changes in the retail market and the country’s demographics led Sears to end publication of its “big book” catalogs in 1993, although the company continues to issue specialty and seasonal catalogs. This collection contains over one hundred seasonal catalogs issued by Sears from its stores in Boston between 1929 and 1990. Stock certificates and other printed financial instruments became a medium for American corporations to signify their role in an expanding nation and their importance to the American economy. Often elaborately printed, in part to thwart counterfeiters, stock certificates and other financial instruments typically incorporated imagery reflecting their corporate activity, a burgeoning economy, and an the idealized nation. This small collection of stock certificates and bonds was assembled for their value in illustrating printing history due to their more or less elaborately engraved letterheads and borders. Issued from 1842 to the even of the Great Depression, the collection includes 42 different certificates, plus a handful of duplicates, issued by railroad companies, insurance companies, banks, bridge companies, coal companies, dispatch and transit companies. The illustrations run the gamut from idealized representation of the corporation to symbolic expressions.